UDUSOK Postgraduate Late Application Form for 2018/2019 is out. Usmanu Danfodiyo University, Sokoto, UDUSOK Postgraduate admission form for 2018/2019 academic session is out on sale. The UDUSOK postgraduate application form is now available and can be accessed online http://pg.udusok.edu.ng. LATEST UPDATE: Sales of Postgraduate Application Form is now Open for Late Application. Closing date is Friday 21st December, 2018. Applications are invited from suitably qualified candidates for admission into Full-Time/Part- Time Postgraduate Programmes in the Postgraduate School, Usmanu Danfodiyo University, Sokoto for the 2018/2019 Academic Session. 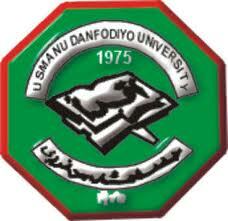 (i) Graduates of Usmanu Danfodiyo University, Sokoto or other recognized institutions. (ii) Holders of Higher National Diploma (HND) (not HD) with a minimum of Lower Credit pass or its equivalent in relevant areas. (iii) In special cases, holders of HND with minimum of Lower Credit pass in nonrelated areas may be admitted after passing such tests as may be prescribed by the Departments/Faculties. (iv) Candidates who hold qualifications other than the above which are acceptable to the Board of Postgraduate School and Senate of the University. (v) In addition to (i) – (iv) above, a candidate must satisfy the University’s minimum requirement(s) for matriculation i.e five (5) relevant O/L credits including English Language & Mathematics. appropriate Postgraduate Diploma of Usmanu Danfodiyo University, Sokoto or other recognized institutions with at least a credit level pass. (ii) Candidates whose degrees are unclassified with average of “C” or 50% or above. Such candidates may be subjected to qualifying tests. (iii) Candidates with only Bachelors degree in Third Class division and a relevant Postgraduate Diploma. (iv) Candidates who hold qualifications other than the ones listed above, which are acceptable to the Board of Postgraduate School and Senate of the University. (v) Candidates may be required to pass examination set by departments to which they are seeking admission to determine their suitability for postgraduate work. (vi) In addition to (i) -(v) above, a candidate must satisfy the University’s requirements for matriculation i.e five (5) relevant O/L credits including English Language & Mathematics. (i) Graduates of Usmanu Danfodiyo University, Sokoto or other recognized institutions who have obtained a Masters degree with a GPA of less than 3.0 on a 4-point scale or less than 4.0 on 5-point scale. (ii) Holders of a Masters degree in a cognate discipline with a GPA of 4 and above. (iii) Candidates who hold qualifications other than the ones listed above, which are acceptable to the Board of Postgraduate School and Senate of the University. (iv) In addition to (i) – (iii) above, a candidate must satisfy the University’s minimum requirements for matriculation i.e five (5) relevant O/L credits including English Language & Mathematics. (i) Graduates of Usmanu Danfodiyo University, Sokoto and other recognized institutions who have obtained good Masters Degree with a GPA of not less than 4.0 on a 5-point scale or 3.0 on a 4-point scale appropriate to the proposed areas of study. (iii) In addition to (i) and (ii) above candidates must possess at least a Bachelor’s Degree in Second Class lower division. (iv) Candidates who hold qualifications other than the above acceptable to the Board of Postgraduate School and Senate of the University. (v) In addition to (i) – (iv) above, a candidate must satisfy the University’s requirements for matriculation i.e five (5) relevant O/L credits including English Language & Mathematics. NOTE: (a) Holders of Higher Diploma (HD) are NOT eligible for admission into the Postgraduate Programmes of the Usmanu Danfodiyo University, Sokoto. (b) Applicants with ‘PASS’ at any level (Diploma or Degree) are not eligible for admission. (c) Applicants without NYSC Discharge /Exemption Certificate need not apply. How much is UDUSOK Postgraduate application form? Application forms are available for sale, online, as from 30th June to 15th September 2018 at the cost of Ten Thousand Naira (N10,000.00) only. Late admission forms are now on sale at the rate of Twenty thousand (20,000) Naira and Fifteen thousand (15,000) Naira only for Professional and Academic programmes respectively. Closing date is Friday 21st December, 2018. N.B Screening test will be conducted by affected Faculties. Schedule of screening will be announced in due course.